The year 1977 was the last year of the famous Colonnade intermediate models from General Motors. After a spectacular sales year in 1976 for most of them, a mild refreshing was used in 1977. The Pontiac Grand Prix was updated with a grille using bolder and wider spaced vertical bars and moved the parking lights from the fender edge to between the headlights. The headlight/parking light arrangement was a styling feature that would be used on Grand Prix through 1980 and on 1980 and 1981 Catalina and Bonneville as well. The Grand Prix had another great sales year, selling 288,430 cars in 1977. 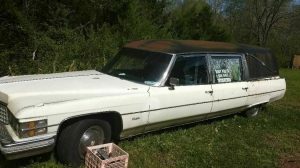 Here is a 1977 Pontiac Grand Prix for sale here on Craigslist in Youngsville, North Carolina. 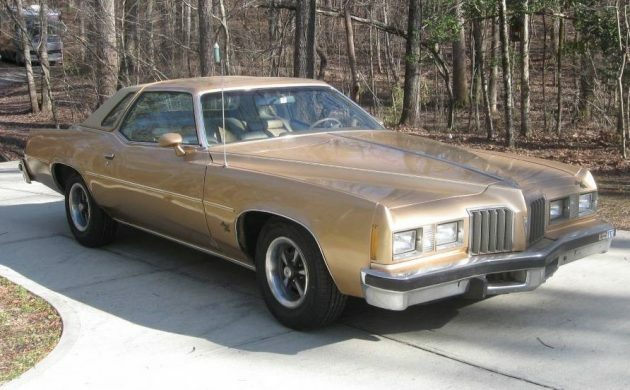 This Grand Prix is wearing Buckskin Metallic paint with a tan landau vinyl roof. 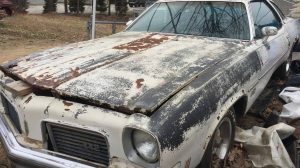 Even though it looks great in the pictures, the seller says it is a solid candidate for restoration. It drives well and is wearing a brand new set of black wall tires. It has the famous Rally II wheels that were such a popular option on Pontiac in the late sixties and seventies. The tan interior features a notchback bench seat with center armrest finished in tan vinyl. The car has an aftermarket radio. The dash and seats do not have any cracks or rips. 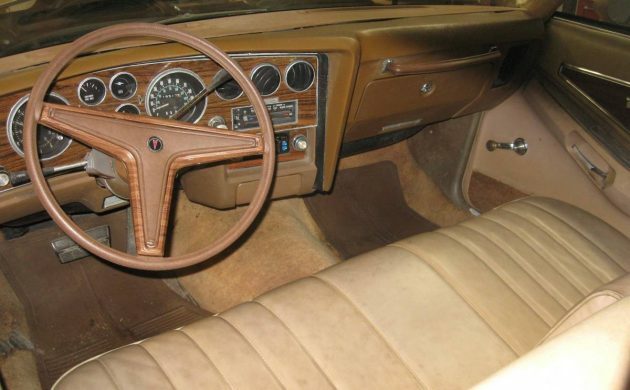 This Grand Prix features air conditioning, cruise control, tilt wheel, and manual windows. The engine is a 301 cubic inch V-8. It is mated with a Turbo Hydramatic 400 automatic transmission. 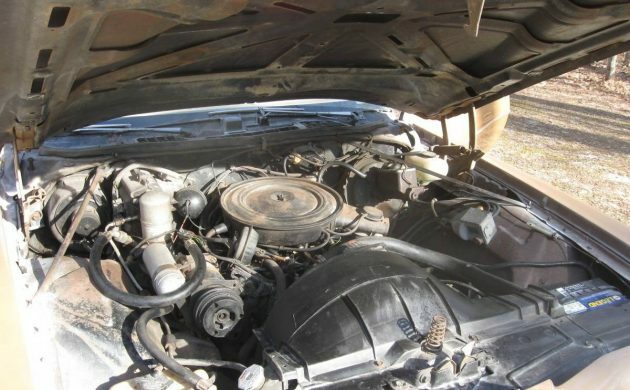 The car has 119,500 miles but the engine has been rebuilt. The seller is asking $3,350. Judging from the pictures, this seems like a reasonable price. Maybe you are a fan of Grand Prix from 1973 to 1977 and would like to take a closer look at this one. Beige on beige. One of my least favorite color combos but I love it on this car. Do I wish it had something other than that 301? Heck yes. With that mileage and that condition, sort it out, fix any issues and make it your dry-day ride. 1977 is definitely my favorite year for Grand Prix. My friend had one the same color as this one, although his was the LJ and he had the 400, and bucket seats. Are you sure this one has a 400 transmission? 400 behind a 400 but my money would be on a 200, which was poorly titled as it was almost as substantial as the 400. I had a Grand Am with the 301/200. It performed quite well. That was the first year for the TH 200 transmission. I heard of some teething problems with the 200 but I saw very few in our dealership. I believe your are right, Geomechs. 200 instead of the 400. But, maybe early in the year they had a 400 behind the 301? At this price, it doesn’t matter, a good buy for someone. I don’t think you would lose money. Maybe even stedely gain. My car. Definitely is a TH 400. Was yours behind a 301, Brian? The first car I restored was a 1975. What a great riding and driving car. Odd though, the back seat was surprisingly cramped. The AC would freeze the polar ice caps. Great machine. 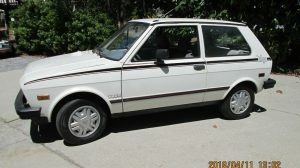 I had a 1980 Grand Prix that I bought from my grandfather when he got too old to drive. Well cared-for with few miles. 3800 V6. Worst car I’ve ever owned. It steered like a plow, rattled, wouldn’t get out of it’s own way. The trim on the leading edge of the half vinyl top blew off in the wind. I attribute it to the malaise-era. Prior to that piece of garbage he had a ’72 Cutlass Supreme with the Rocket 350. Now THAT car is one I wish I had today. 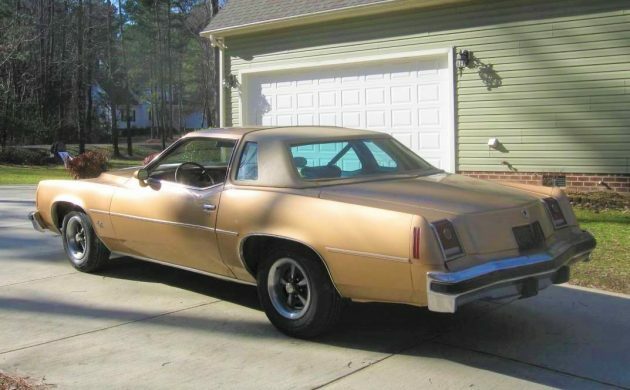 My mom and dad had a 72 or 73 model supreme…first car I ever flipped the breather lid on lol! 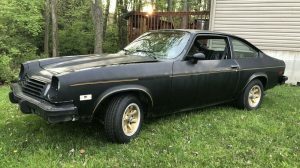 Olds named it rocket for good reason. The 301 would be pretty anemic in this tank IMO. At least they didn’t have a reputation for being trouble prone, like the early Chevy 305s. I had a 301 in a Grand Am, and it was OK. Of course, if I compared it to my friend’s 400, it was a far cry away. The dealership I worked for sold a lot of 301 engines, and we had very few complaints, until someone at Pontiac decided to put a turbo on them. Let the service nightmares begin!!! Gutless motor, if it does have a TH400 it is way more than is needed to lug this boat around. For $3,500 it’s a decent buy if you want to give it to your 16 year old for a first car. If they don’t wreck it, then you put a 421, 428, or a 455 in it and a posi with 3.55 gears and go have some real fun. Should be GOOOOONE at that price – one of the better looking cars back in the day. 301 N/A engine barely enough to move an F body let alone a Grand Prix of that size . As nice as this one is with the lack of a 400 under the hood my interest would be limited.